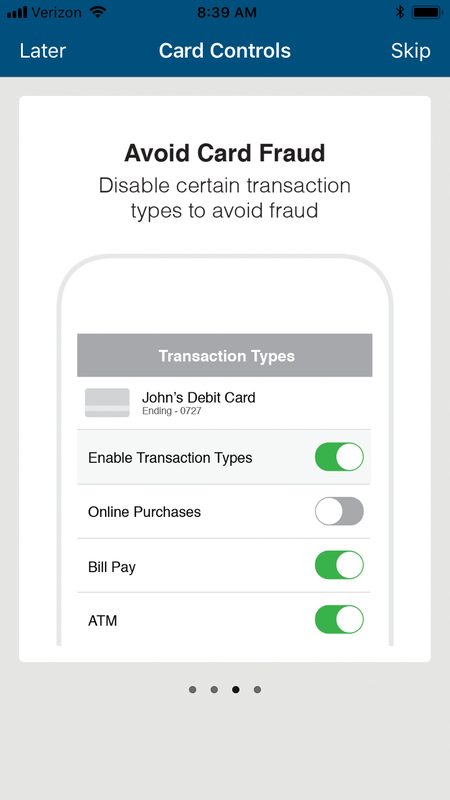 You have the ability to securely control various features of your card right from your smartphone! Choose which cards you'd like to enable Card Controls. 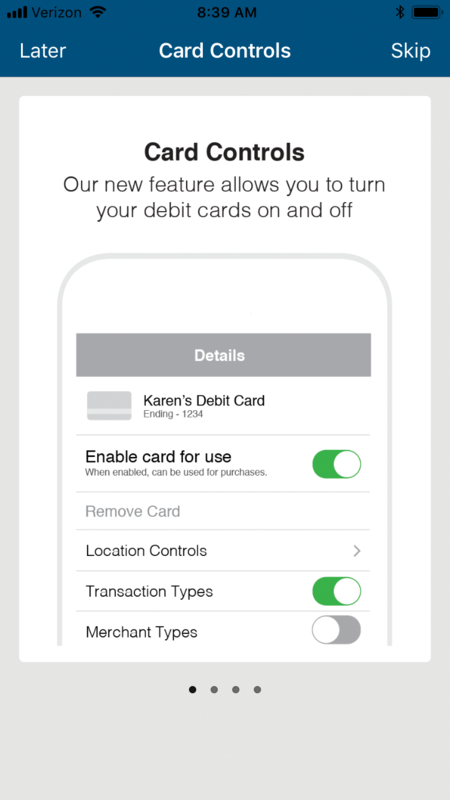 Once the card is enabled, you can then choose which features you'd like to control: Location, Transaction Types, Merchant Types, and Spending Amount Limit. If at any time you'd like to remove these controls, you may disable them. 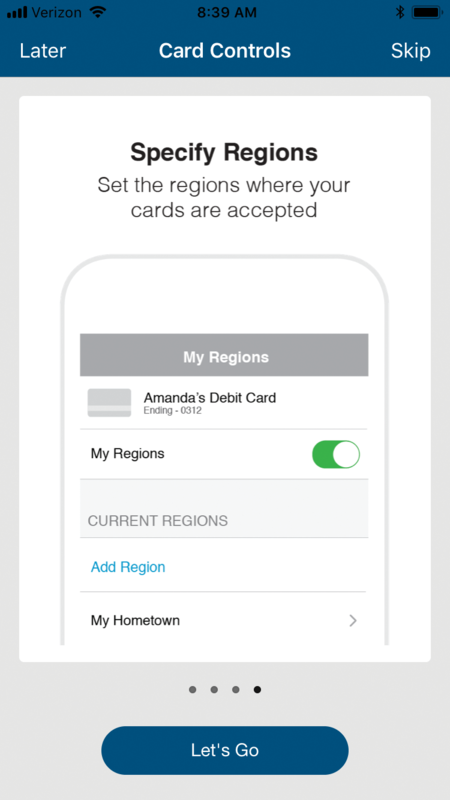 To enroll in Mobile Banking, you must also be enrolled in Online Banking. If you are NOT enrolled in Online Banking and would like to be, get started now. 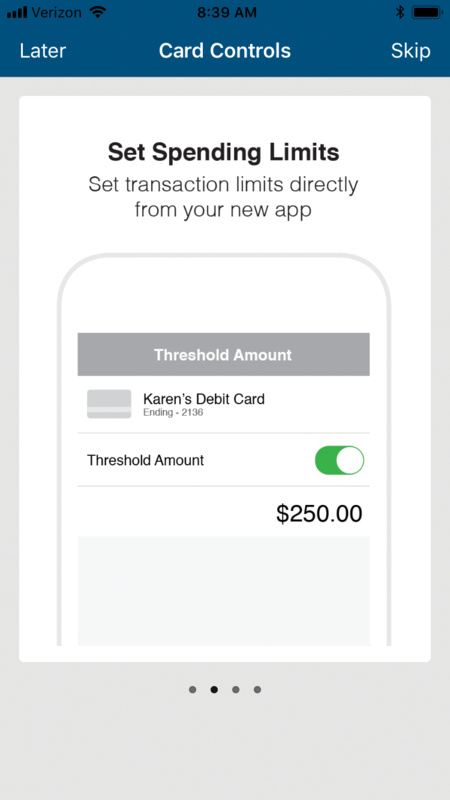 If you ARE enrolled in Online Banking, but are NOT enrolled in Mobile Banking and have NOT downloaded our FREE Independent Mobile app, you can download the app on your smartphone (available for both Apple and Android).